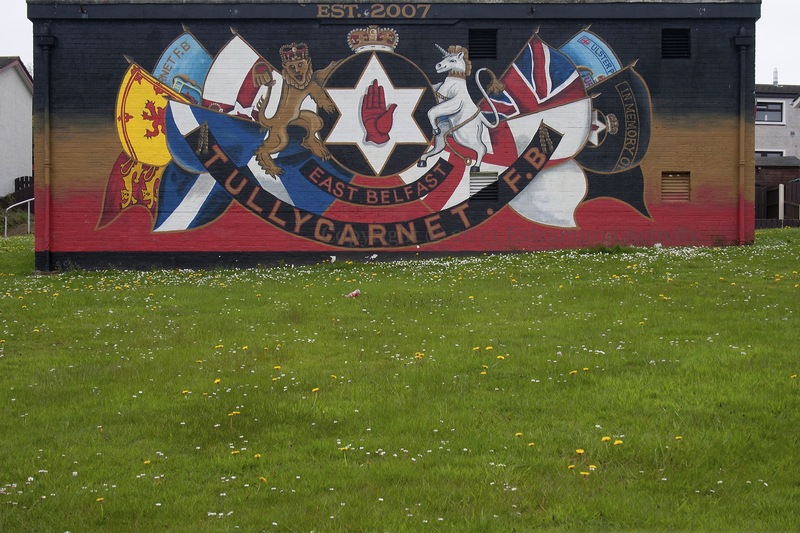 Mural in the Tullycarnet estate to the local flute band (“established 2007”), showing various UK flags and the lion and the unicorn from the UK coat of arms. According to the nursery rhyme, “the lion beat the unicorn/all around the town” and so only he wears a crown. Previously: TFB mural in the subway under Kings Road.